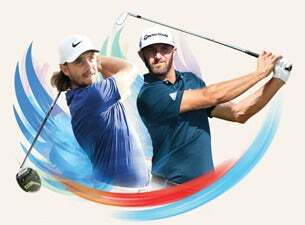 The 14th edition of the award-winning Abu Dhabi HSBC Championship presented by EGA, launches the Desert Swing as part of the European Tour, will see yet another stunning line-up of the world’s best golfers at the Abu Dhabi Golf Club, from 16 - 19 January. The unrivalled Championship Village will once again provide fun filled family entertainment featuring an array of food and beverage options, live entertainment and much more. Follow @ADGOLFCHAMPS to stay up to date!